Like the idea of working outside? Enjoy history? Love watching Time Team? So you thought, study Archaeology, go on various digs around the world, become Indiana Jones and live the dream. Job done. Unfortunately in reality it doesn’t quite work like that. Becoming an Archaeologist is extremely difficult because, well, there simply aren’t that many jobs. The jobs in Archaeology that do exist tend to be held by people who have an enormous amount of experience as they have held them since the 70s (when the British government finally realised it was important to discover and conserve archaeological remains). The good news is these people are probably due to retire eventually – leading to job openings in the not-so-distant future. How Much Does an Archaeologist Earn? If you love Archaeology then you almost certainly won’t be taking into account the possible earning potential but you might want to consider it. On average an Archaeologist earns £17,000 GBP per year and a Unit Manager earns £22,000, so it’s always going to be a labour of love. It’s possible to graduate from university (ensure you have a very good degree as places are competitive) and then get jobs moving from one dig to another as they only last weeks, sometimes months and rarely years at a time. However, there will come a point when you’ll want to settle down, so having another career route up your sleeve is never a bad idea. You can compare Archaeology with Acting in some ways: only very few people become a star and it’s often more about luck than actual talent. Being in the right place at the right time to land the dream job is frequently the case. None of which should put you off. The good news is that once you’ve studied Archaeology there are plenty of other careers you can do other than simply becoming an Archaeologist. These include university lecturers, jobs with local authorities in planning departments or museums, a civil servant with English Heritage or on Ancient Monuments. Plus any course is a measure of your knowledge generally so it could be used in non-related areas too. 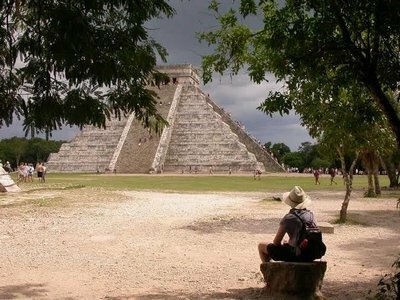 So all in all, whether you get to live out those Indiana Jones daydreams and head off to far-flung corners of the world or not, Archaeology is a very useful course to study in terms of skills. A mix between arts and sciences, you will become extremely proficient in constructing databases, and managing stock control which are transferable skills to the workplace. And that’s never going to be a bad thing. Like our guide to how to become an archaeologist? Enrol in an online Level 3 Diploma in Archaeology. Or, for more career advice, see our guide to becoming a lawyer.